Oxford City chairman Brian Cox has confirmed that a pending High Court hearing has been called off after the club paid an outstanding tax bill. 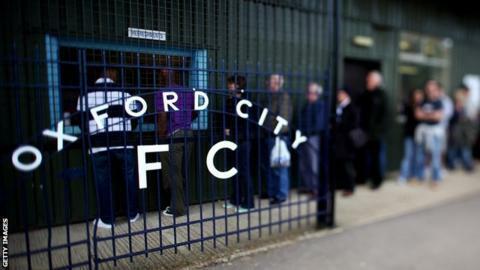 City had been due to face a winding-up petition on Monday, but Cox told BBC Radio Oxford it will not now be heard. A judge could have passed a winding-up order that would have liquidated the 134-year-old club. Oxford are next to bottom in National League South, having won only one of their eight games so far this season. It has been a turbulent few months for the club, with former club president Thomas Guerriero jailed for fraud in May and managing director Colin Taylor found dead at the club's stadium in July.